Steel wire cored flip line, incorporating a swivel carabiner on one end, with triple action locking gate. 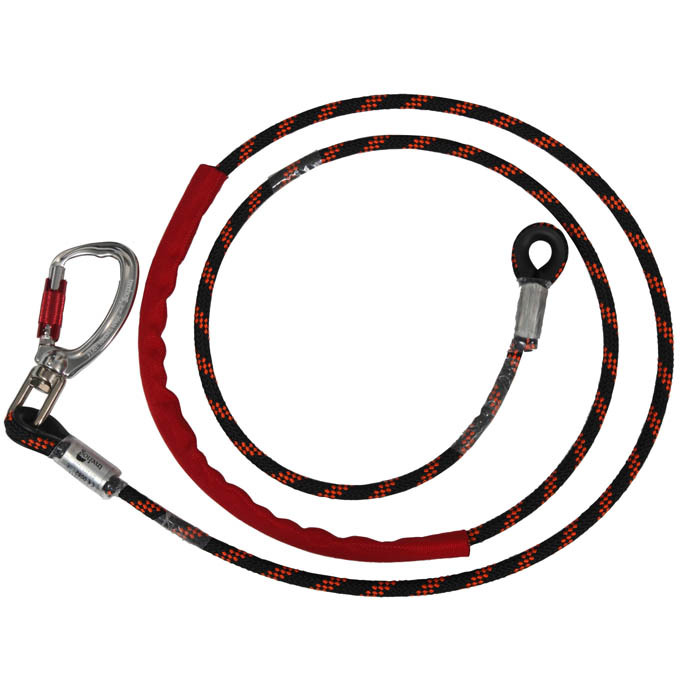 The TH1171 flip line is designed for ease for use when ascending a large stem or pole, and has a braided polyester rope sheath, and a twisted steel wire core. The 11.4mm braided outer sheath works well with a prussik or rope grab and there is an additional degree of abrasion protection afforded by the extra woven nylon protector. The TH1171 flip line is tested and certified to EN358:1999, and each flip line carries a unique serial number for identification purposes. Please note: The steel core is designed to enable the climber to 'flip' the TH1171 up a pole or stem with ease, and is NOT designed to resist chainsaw cuts. Ascending with a flip line is a skill, and should only be undertaken by trained personnel. The use of a secondary anchor point, especially during dismantling or 'blocking down' is essential.